Fenner Nature Center is one of my favorite places in Lansing. Theres something to be said about the setting. Its so close to downtown, but a world away. Its nature. Pure and simple. And among the prairie fields, the forests, the lovely trails and the pond where I always seem to hear a bullfrog, is a sugar bush. A lovely setting of select maple trees planted together for a purpose. To grow big enough to be able to produce enough sap to turn into maple syrup. And what goes beautifully together with maple syrup? Well, pancakes of course! When spring is approaching, and the days warm up, but the nights are still cold, the tree sap starts running, and its time for a Maple Syrup Festival. Head over to Fenner Nature Center this Saturday from 11 a.m.-5 p.m. for a free, fun family festival. Try your hand at tapping one of the maple trees. Watch as they stir the giant pot to make the maple syrup or as they keep stirring to make the maple crme. Q. Does maple syrup come directly from the trees? A. No. Sap comes directly from the tree. People must collect and boil the sap, concentrating it and changing it into syrup. Q. 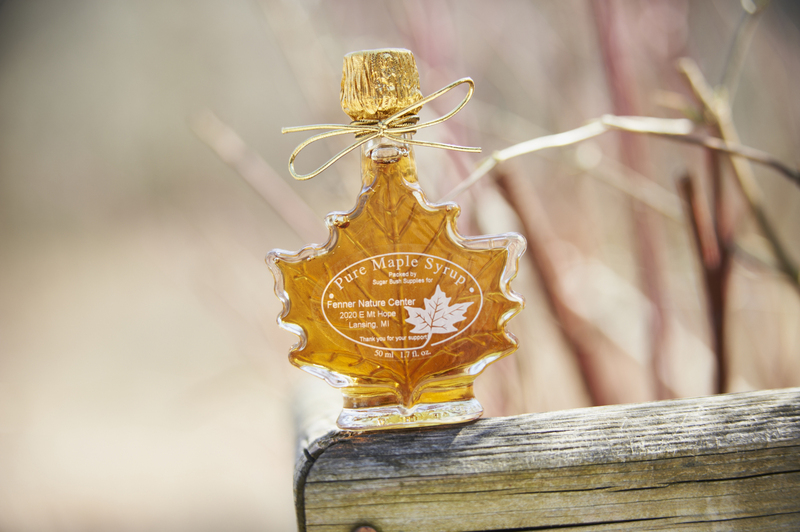 Who first made maple sugar? A. Theres no way of knowing who was first, but maple sugar is a uniquely American product and the native Indians were already making it as a staple food when Europeans arrived. Q. Where is Mrs. Butterworth&apos;s sugarbush? A. It&apos;s a well kept secret and old Mrs. B. is smart enough to keep her real maple syrup for personal home use. The product she sells is actually colored corn syrup masquerading as a product of maple trees. When? Saturday, March 15, 2014 11 a.m.-5 p.m.
Why? Because maple syrup is de-licious!! !